May buy 1 for yourself and unlimited as gifts. May redeem 1 per person. Valid for online course. Once voucher is redeemed, there are no returns, refunds or exchanges. Expires 3 months after purchase. See the terms that apply to all deals. National Drone School offers you the convenience of learning how to correctly operate and fly your UAV from the comfort of your own home. The course comes with training videos and a workbook to help you learn about all the things you can do with your UAV. 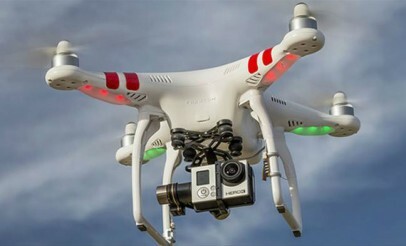 National Drone School provides the best, available UAV Flight Training Programs. They have beginner UAVs, intermediate, and advance models. National Drone School has created videos by trained instructors for you to be able to learn all you need to know. As you follow along with their workbook and complete their written, online test, you will receive a Certificate of Completion in UAV Online Flight Training.